The much-talked-about apocalyptic year will prove to be particularly hellish for B.P.R.D. We have pretty much had enough with all the "Mayan Calendar" and other similar 2012apocalyptic theories either plain religious or inspired by 2012, the less-than-inspiring 2009 Hollywood disaster film directed by Roland Emmerich. But we are more than delighted to know that B.P.R.D. (Bureau for Paranormal Research and Defense, for the uninformed) will be going straight to hell come 2012. Courtesy of a teaser image released by Dark Horse Comics complete with promises of an announcement next week, we undertsand that the B.P.R.D. Hell on Earth arc continues in 2012 with the conclusion of B.P.R.D. 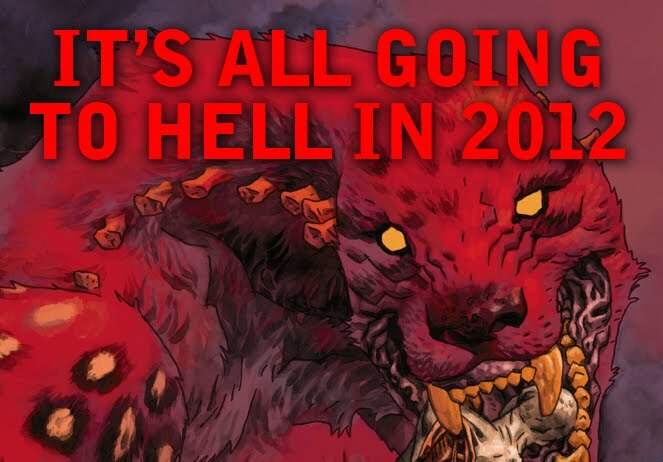 Hell on Earth: Russia in January and a new three-issue limited series, B.P.R.D. 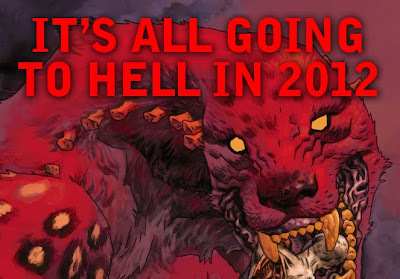 Hell on Earth: The Long Death, kicking off in February. After the near-total obliteration of Borneo (for the geographically challenged, that's Malaysia, Indonesia and Brunei) and a massive mutation crisis across America and Mexico, can things get any worse for the ill-fated protectors of America against the occult, paranormal and supernatural.? You bet.